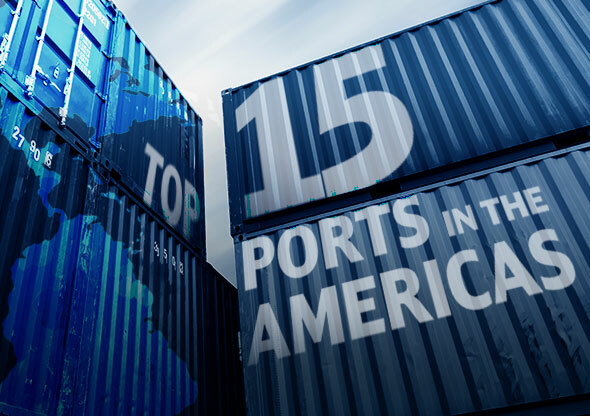 We rank the 15 busiest ports from North to South America – and what to expect for 2018. When Christopher Columbus set out for Japan in 1492 seeking a faster spice trade route between Europe and Asia, he had no way of knowing that the second largest combined land mass on earth — the New World — would make reaching his destination impossible. More than five centuries later, Asia continues to be one of the world’s most desirable trading partners, while the Americas, or North and South America combined, has well surpassed Europe with a total GDP of $25.46 trillion USD — 33.6% of world GDP! Strategically located on the coast of Southern California, these two adjoining ports are a major gateway for trade with Asia. Strictly speaking, these are two separate ports that both compete for business and share resources. 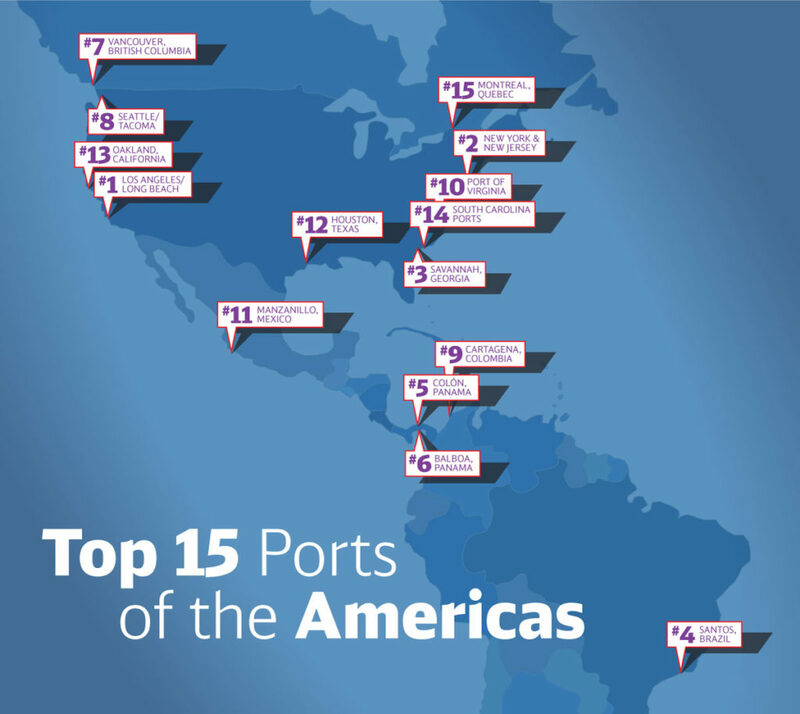 However, by combining their TEU totals for the for the purpose of this list, we get a picture of a mega port that would account for one-quarter of North America’s entire container trade and would weigh in as the 10th busiest port in the world. The Port of Los Angeles occupies 43 miles of waterfront in San Pedro Bay. 8.8 million TEUs were moved in 2016, up an incredible 7.8% increase year over year. Last year, the port moved 924,225 TEUs in November 2017 alone! Some $1.2 billion worth of cargo moves to/from the Port of Los Angeles each day, accounting for about 43% of all cargo coming into the US. Modernization in the form of the TraPac terminal, staffed almost entirely by robots, features 28 red cargo-carrying machines moving containers onto self-driving vehicles. The Port of Long Beach’s yearly trade movement amounts to $180 billion, or 4.7 million TEUs, making it the 21st busiest port in the world. Although volume was off 5.6% in 2016 compared 2015, March 2017 saw busiest first quarter ever for the Port of Long Beach, which generates approximately $100 billion in trade. For fiscal 2018, the port plans to invest $457 million upgrading terminals, waterways, bridges, rail lines, marine safety and other vital infrastructure. The Port of New York and New Jersey is among the largest and busiest US ports on the East Coast. A major 2018 upgrade will double the capacity at one of the four main terminals. The Port of Savannah, Georgia, hosts North America’s largest single-terminal container facility and has the highest concentration of import distribution centers on the USEC. Container trade grew by 32 percent in October 2017, with the Garden City Terminal moving 410,000 TEUs, an increase of nearly 100,000 TEUs. Strategically located in the city of Santos, the Port of Santos is South America’s busiest port. A recession in Brazil had port volume down 4.8% compared to 2015, causing it to get edged out to the #4 spot on this list. Looking forward, with hints of an economic recovery in the works, plus recent terminal upgrades that will increase unloading and loading capabilities (8 million metric tons annually, up from 6 million), and increased storage capacity (194,000 metric tons, up from 172,000), the Port of Santos may be poised for a rebound. The Port of Colón is located on the Atlantic side of the recently widened Panama Canal. To accommodate increasing traffic, a recent $8 billion USD overhaul deepened Berth No. 4 to 16.5 meters and equipped it with three super post-Panamax gantry cranes capable of handling 23 rows of containers. Situated on the Pacific side of the Panama Canal, the Port of Balboa is the only container terminal in the country to serve the many shipping lines for loading, discharging and transshipping operations from the Pacific basin to the region. The Port of Vancouver features 27 major marine terminals that service five business sectors. TEUs increased by 9.6 per cent compared to mid-year 2016 to a record 1.6 million. The port’s 2017 mid-year statistics showed a trade increase of 4% to 69 million metric tons. The ports of Seattle-Tacoma are jointly operated by the Northwest Seaport Alliance. In April 2017, a rise in traffic for containers shipped to the ports of Seattle and Tacoma resulted in their strongest first quarter international container volumes since 2005. The Port of Cartagena is situated on Colombia’s northern Caribbean shore. The Columbian Ministry of Transport and the National Roads Institute (Invías) are planning to put tenders out in 2018 to improve access channels to the ports of Cartagena. This includes construction of a $58 million alternative access canal. Among the busiest ports on the US East Coast, the Port of Virginia’s strategic location allows ships to reach the open sea in just 2.5 hours. The future Craney Island Marine Terminal answers the need for additional container terminal capacity to accommodate global growth, larger vessels, and expansion in international trade. The Port of Manzanillo is situated in the state of Colima. Traffic in 2017 increased to 2,458,135 TEUs. The port is scheduled to spend $50 million for a 30 percent expansion, increasing the terminal’s capacity. This will allow the terminal to add a fourth berth and increase existing quayside by 300 meters to 1,350 meters. The largest port on the Gulf Coast, the Port of Houston, Texas, handled 68% of the total US Gulf Coast container traffic in 2016. With imports increasing by 23% year-over-year through May, and exports increasing 7% year-over-year through April, 2017 totals should push the Port of Houston higher on this list next year. Further increasing the port’s competitiveness, Houston recently acquired new super post-Panamax ship-to-shore cranes. The Port of Houston Authority earmarked $1.6 billion to deepen the Houston Ship Channel to 45 feet. Handling over 99% of containerized goods moving in and out of Northern California, the Port of Oakland’s loaded container volume is at an all time high. 2016 saw a 9.5% increase in volume over 2015 (second only to the Port of Los Angeles on this list, in terms of per cent increase). In the first quarter of 2018, Oakland is scheduled to begin construction on the largest logistic hub within the boundaries of a US seaport. South Carolina Ports include the seaports of Charleston and Georgetown. Charleston has five public terminals. In 2017, 1.21 million containers passed through the port authority’s various terminals. Large 70- and 80-foot cranes and jumbo-sized forklifts moved an average of 333 containers a day during fiscal year ending in July 2017. Situated on the St. Lawrence River in Montreal, Quebec, Canada, the Port of Montreal services Toronto and the rest of Central Canada, the U.S. Midwest, and the U.S. Northeast and has six shipping lines. The port celebrated its 50th anniversary of container shipping in 2017. L.A. and Long Beach remain the destination for goods and products where the urgency to hit store shelves is most acute. Ports in other parts of the US, from Houston to New York, continue to deepen their coastlines and boost efficiencies, which has nibbled away at L.A.’s dominance as a gateway to U.S. markets. The steady rise of cargo to southeast ports underscores the importance of industrial markets and growing populations in the eastern part of the US. Overall, US import growth is expected to slow down in 2018, especially in the second half of the year. A 2.6% trade rise on the north-south routes between Latin America and the US in 2017 served as a heads up to more activity in 2018. These upticks will face challenges from a number of important market influences, such as Maersk Line’s acquisition of Hamburg Sud, a major force in Latin America. Also impacting US-Latin American trade is the devastation caused by Hurricane Maria which struck Puerto Rico. Finally, Mexico, the ninth-largest marine trading partner in the north-south routes, could be impacted by the possibly uncertain future of the North American Free Trade Agreement (NAFTA). Looking ahead to 2018, will increased consolidation, like Maersk’s acquisition of Hamburg Sud, choke competition and impact prices? Exporters to Latin America have more carrier options with greater capacity. 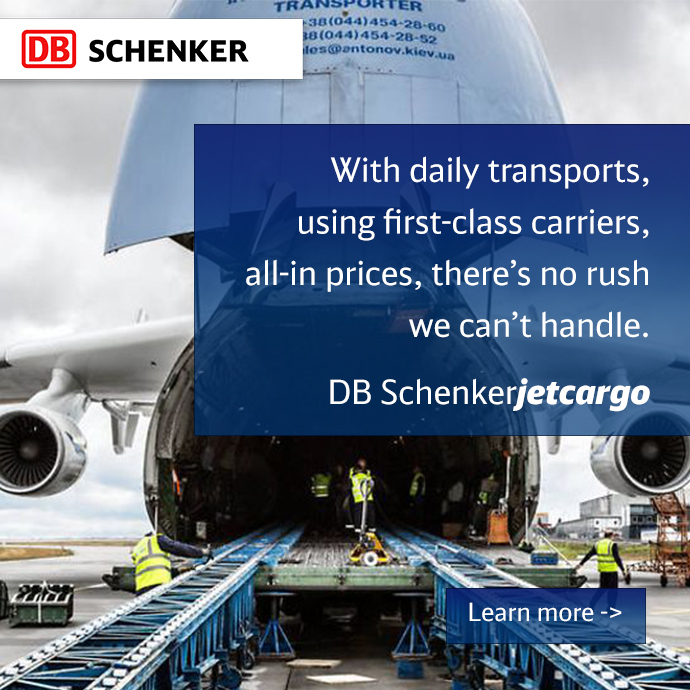 Larger carriers have stepped up their game, trying to collar more business with competitive pricing and favorable transit times to most destinations. That said, vessel capacity and carrier options might not be confined to the north and south lanes from the US.